Honda spend a lot of money developing their cars for optimum performance, therefore huge gains won’t usually be made on a standard car without a tune. However, Honda, like all Car Manufacturers are limited to what can be fitted quickly on the production line, and be whisper quiet. 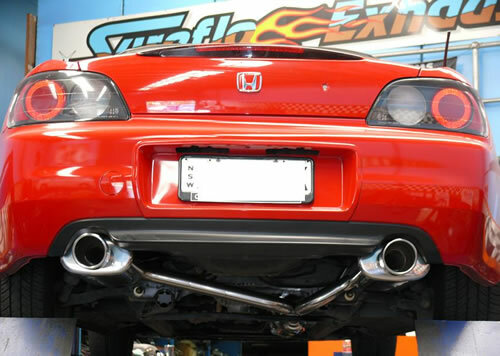 We made custom extractors, ballistic racing cat, and a stainless straight through performance sports system. It picked up around 15kw at the wheels, looked great, and sounded great.